Once more a taverna (tsipouradiko)! 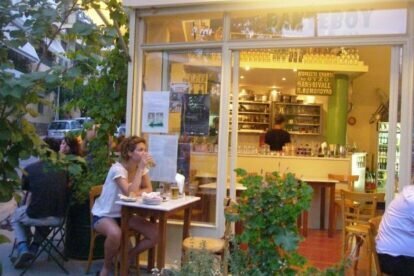 If you get hungry in Athens, you won’t have any problem finding something to eat. Just follow my spotted places. Rendez-vouz is actually a very old tsipouradiko that was recently renovated probably following the new ‘hype (? )’ of the square that it is located at. Since more or less 2 years, a lot of bar-cafes have opened in this area, but still if you ask me only Rantevou has kept its original flavour. A place that you should not get surprised if you see old men sitting and drinking their coffee or raki. Nice food, wine, beer, raki and good company. Relax and let time pass. Quick note: There is one rule…no drinks without food. So you should be at least a little bit hungry.